It is with great saddnes that I announce the death of John Allan Butler OH 1947 - 1954 on September 14th, 2011, peacefully at St Michael's Hospice aged 75 years. John was born and bred in Herefordshire and it was here that he met Diana his wife of 47 years and they had their children Pete OH (1978-1986), Kate and Sarah who in turn have produced nine grandchildren between them! John had a love of walking and he loved the fact that he often bumped into HCS contemporaries wherever he went in his beloved Herefordshire whether he was in Hereford City, walking in the Black Mountains or frequenting the local hostelries. At HCS John was an active member of rugby and cricket teams and the CCF, which was very handy because he used his army boots blacked for CCF and blancoed for cricket! 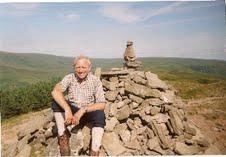 He always talked fondly of his time at HCS and was a proud Old Herefordian. Following the founding of the Marches 7’s by Bob Talbot and Don Theakston, John took great pride in supporting the development of the tournament, which his son Pete benefitted from as the second generation of Butlers at HCS. Over the past few years John’s HCS involvement has continued, through his attendance at many OH events and also very proudly as an energetic supporter on touchlines, boundaries, hockey pitches and at many plays and cathedral services for four of his grandchildren (Ben, Will, George and Sophie) who are now the third generation at HCS. John’s wife Diana would like to thank all OHs for their kind messages and support and for recounting great memories of John.